Is Reinsurance Group of America Inc (RGA) A Good Stock To Buy? Is Reinsurance Group of America Inc (NYSE:RGA) a good place to invest some of your money right now? We can gain invaluable insight to help us answer that question by studying the investment trends of top investors, who employ world-class Ivy League graduates, who are given immense resources and industry contacts to put their financial expertise to work. The top picks of these firms have historically outperformed the market when we account for known risk factors, making them very valuable investment ideas. 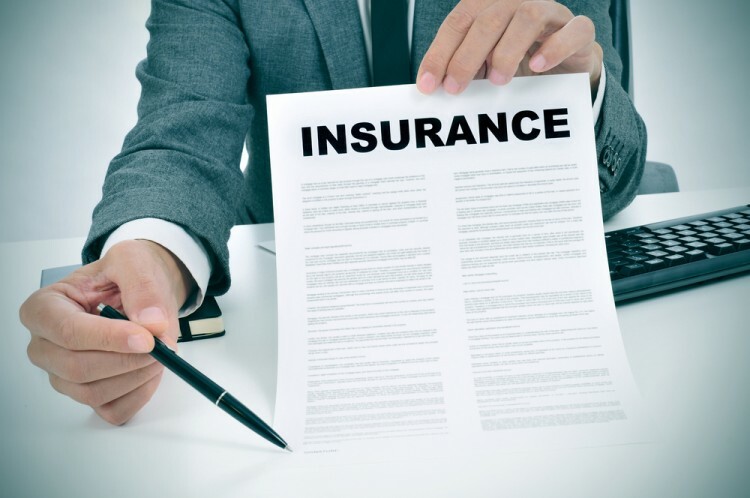 Is Reinsurance Group of America Inc (NYSE:RGA) undervalued? Investors who are in the know are getting more optimistic. The number of bullish hedge fund bets that are revealed through the 13F filings advanced by 2 recently. 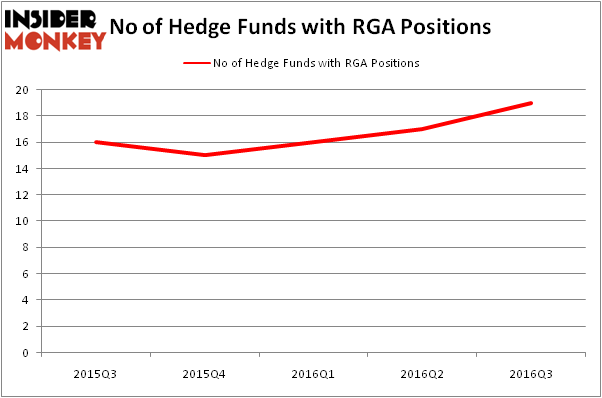 RGAwas in 19 hedge funds’ portfolios at the end of the third quarter of 2016. There were 17 hedge funds in our database with RGA positions at the end of the previous quarter. At the end of this article we will also compare RGA to other stocks including Mercadolibre Inc (NASDAQ:MELI), Liberty Broadband Corp (NASDAQ:LBRDK), and FMC Corp (NYSE:FMC) to get a better sense of its popularity. How are hedge funds trading Reinsurance Group of America Inc (NYSE:RGA)? Heading into the fourth quarter of 2016, a total of 19 of the hedge funds tracked by Insider Monkey held long positions in this stock, an increase of 12% from the previous quarter. Below, you can check out the change in hedge fund sentiment towards RGA over the last 5 quarters. So, let’s examine which hedge funds were among the top holders of the stock and which hedge funds were making big moves. When looking at the institutional investors followed by Insider Monkey, Cliff Asness’ AQR Capital Management has the number one position in Reinsurance Group of America Inc (NYSE:RGA), worth close to $102.2 million. Sitting at the No. 2 spot is Diamond Hill Capital, led by Ric Dillon, which holds a $54.6 million position. Some other hedge funds and institutional investors that are bullish consist of Chuck Royce’s Royce & Associates, Ken Griffin’s Citadel Investment Group and Brian Ashford-Russell and Tim Woolley’s Polar Capital. We should note that none of these hedge funds are among our list of the 100 best performing hedge funds which is based on the performance of their 13F long positions in non-microcap stocks. Biotech Movers: Heat Biologics Inc (HTBX) And Achaogen Inc (AKAO) How Big Lots, Inc. (BIG) Stacks Up To Its Peers Infosys Ltd ADR (INFY): Are Hedge Funds Right About This Stock? Is WebMD Health Corp. (WBMD) A Good Stock To Buy? Has Hedge Fund Ownership in Welltower Inc. (HCN) Finally Bottomed Out? Should You Buy BJ’s Restaurants, Inc. (BJRI)?